The Law Firm of Marc J. Atas and Associates is based in Baltimore, Maryland at 6 east Mulberry Street Baltimore Maryland 21202 and represents individuals throughout Maryland in a variety of legal matters including Auto Accidents, Personal Injury, and Workers Compensation. Based out of the City of Baltimore, The Law Office of Marc Atas and Associates represents clients from Baltimore City and the surrounding areas, including Baltimore County, Carroll County, Howard County, Harford County, Anne Arundel County, Montgomery County, Prince Georges County, Western Maryland and the Eastern Shore. With the same resources as larger firms, The Law Office of Marc Atas and Associates provides personalized, hands on attention. Recognizing the unique needs of each client, The Law Office of Marc Atas and Associates works hard to provide clear answers and options. 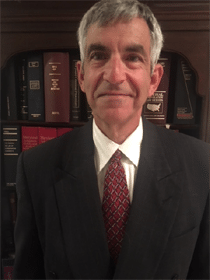 With over 38 years of legal and litigation experience, Baltimore Attorney Marc Atas is a highly-skilled attorney and a forceful advocate that makes the legal process as frustration free as possible. The Law Office of Marc Atas and Associates has established a history of success on behalf of clients seeking workers’ compensation benefits, compensation and for personal injuries resulting from motor vehicle accidents and other causes. Personal injury and auto accident victims, those charged with alcohol or traffic offenses as well as criminal offenses, will find Atas experienced in helping pursue their legal options; often without it being necessary for them to return to Maryland to appear in court. The Law Office of Marc Atas and Associates has demonstrated great success representing individuals and their families in Auto Accident, Personal Injury and Workers Compensation. Our legal team is second to none. We utilize the benefit and advantage of 38 years of trial experience to fight for you in court. The Law Office of Marc Atas and Associates is dedicated to creating real solutions one client at a time. Our law firm will keep you updated, personal service, promptly return your phone calls, and help protect the best interests of you and your family.